Lightsview will soon become home to an exciting new multi-court indoor recreation and community facility. With the Official Ground Breaking Ceremony taking place last Thursday, and documentation nearing completion, the multi-million dollar Lightsview Indoor Recreation Hub project will commence on site in December. The modern, cutting edge design for the City of Port Adelaide Enfield, focuses on flexibility and functionality, providing a multi-use space for the local community. The project will remedy a shortage of indoor courts in the area, with a lot of existing facilities not complying with current standards. 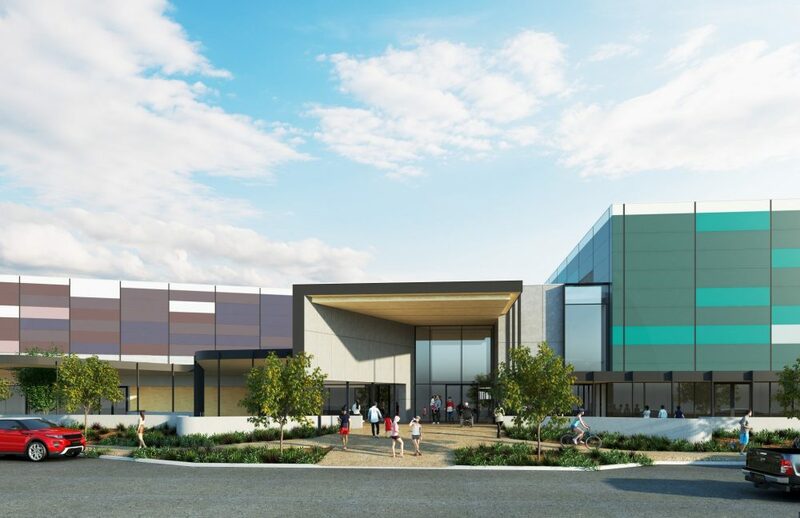 The sustainably managed precinct will provide indoor courts for sport and recreational activities as well as meeting rooms and corporate facilities for community groups and other events. With Disability Sports as a key stakeholder, the design, most specifically the change rooms, will also accommodate users with a disability and promote wheelchair sports. Maximising the potential usage of the space, the courts can be transformed into a stadium environment that seats up to 1000 people. The venue will assist in achieving the Council’s focus to enhance health, wellbeing and inclusiveness in the community. Watch the sod turning video here!